Despite leading on the scorecards, Juergen Braehmer (48-3, 35 KO's) succumbed to a right elbow injury at the end of the sixth round to gift his WBA title to now two-time world champion Nathan Cleverly (30-3, 16 KO's). 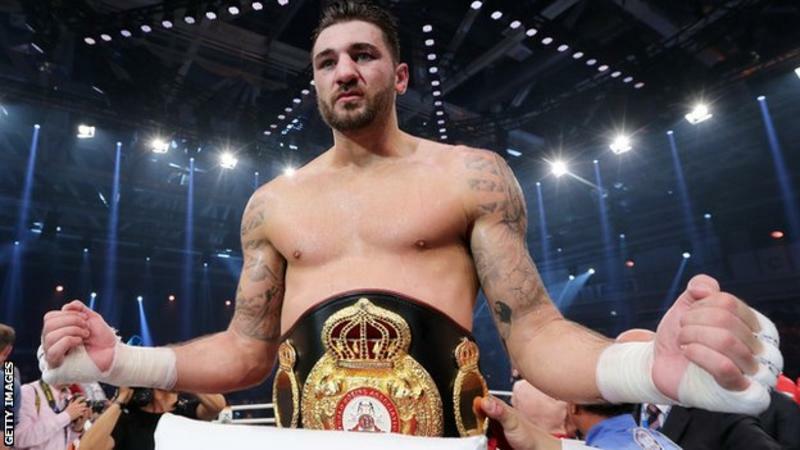 In doing so, Cleverly bolstered the number of UK world champions following Anthony Crolla and Liam Smith's recent defeats at the elite level. It was a competitive but subjective fight, with some favouring the eye-catching craft of defending champion Braehmer but others scored rounds to Cleverly based on his relentless workrate. In the heat of the battle, both fighters, even more so Cleverly, abandoned all defences as a toe-to-toe battle commenced. Braehmer's best weapon was the straight left from the southpaw stance and with the atrocious defence of Cleverly, who allowed each shot to bounce off his chin, the champions caught the judges' eye and used his experience to steal rounds on his lower workrate. Braehmer, who then engaged in a slugfest, remained the classier and more efficient fighter inside the pocket as Cleverly wasted an awful lot of shots that weren't landing at a reasonably high success rate. His most successful shot - the straight right to the head alongside his trademark hooks downstairs, yet his best attempts to deter Braehmer failed due to the decrease of snap in his shots as the rounds rolled on and he gradually tired. But Cleverly's workrate wasn't being matched with intelligence or skill, as he lacked a real method and appeared to plod forward in pursuit of a pub brawl at times and it certainly proved the wrong tactics against the better boxer, more composed Braehmer through the early to mid rounds. By the fifth, Braehmer was up on the scorecards and capitalised on Cleverly's severe defensive frailties, further highlighted by his reluctance to even retain a solid guard and block incoming fire from his opponent's offense. While Braehmer did match Cleverly for toughness and workrate as the fight intensified, the challenger would mount some eye-catching offense at the end of the sixth stanza and as Braehmer's output decreased but without signs of a niggling effect, he suddenly informed the referee he was retiring from the fight. In an underwhelming ending to an entertaining scrap, Braehmer's right elbow required a bag of cold ice as Cleverly embraced with his team for the second world title triumph of The Welshman's career.